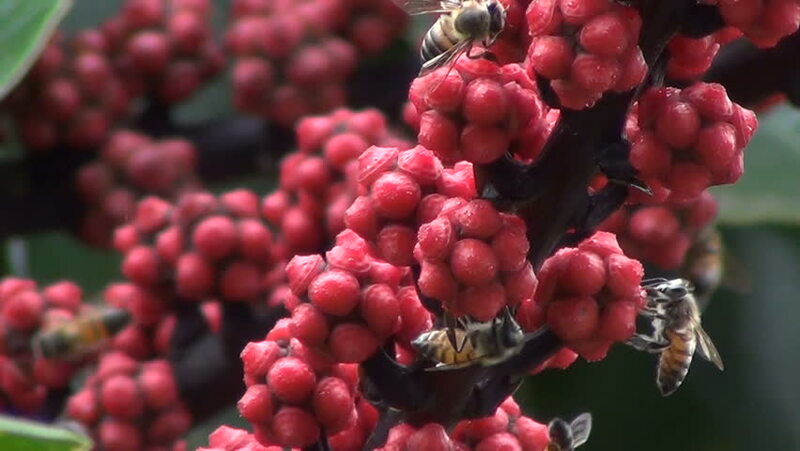 HonneyBees on blooming red flowers of the octopus tree. hd00:33Bees collecting nectar on the blooming flowers of the octopus tree. 4k00:13Red coffee beans on the tree. Coffee beans ripening, fresh coffee,red berry branch, industry agriculture on tree in highland of Vietnam. hd00:20Arabica Coffee Beans Cherries seeds.